Te Mana’s innovative farming techniques make for more a sustainable and ethical meat industry. The helicopter blazed low through the dark blue waters of New Zealand’s Lake Wanaka, before slowly descending, passing through the mountainous range where Mt. Aspiring lies. The chopper landed upon Minaret Station Alpine Lodge, a luxury resort located in the valley nearly 900 metres above sea level. Not only is the Minaret Station a hot spot for the rich and famous around the world, it is also a central breeding ground of a unique species of lamb for Te Mana, a renowned lamb farming company and meat supplier. Last summer, Hong Kong Tatler travelled to the South Island of New Zealand with a number of chefs from Hong Kong and the UK, and experienced first-hand how farmers from this island nation improvise in farming methods to bring innovation in meat-farming and livestock rearing, all in the name of improving the quality of meat. Organised by The Alliance Group, a farming co-op founded by farmers from over 60 countries around the world, championing for the export of meats and co-products, the journey to discover innovative lamb farming methods was part of an exploratory of local produce of New Zealand named The Antipocurean series. Coined to be an individual devoted to gaining knowledge of the country’s unique cuisine characteristics, participants of the antipocurean series include reputable chefs from Hong Kong, namely Silvio Armani of Octavium and Jim Lofdahl of Frantzen’s Kitchen and The Flying Elk. Together we explored the rural country of the South Island, crossing paths with farmers that raise cattle and herds of rams and ewes, and discover how farmers adapt to environmental factors such as climate change and new ways to maximize the quality of meat from their livestock. Working closely with Te Mana, New Zealand’s premium lamb meat supplier, The Minaret Station Alpine Lodge is also the 50,000-acre grounds for a different type of lamb farming, where the livestock are grown and raised on high-altitude terroir. The climatic factors differ in the higher valley near Lake Wanaka, nearly 300 kilometres from Christchurch. 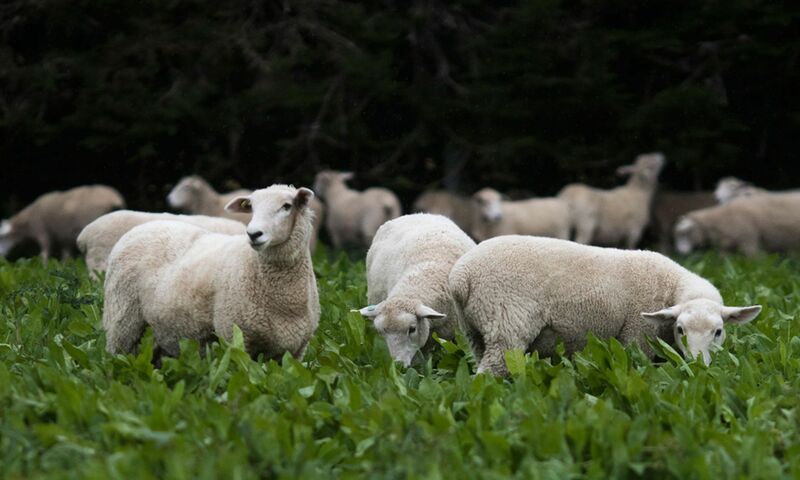 The Alpine farm raised strictly lamb with new methods through means for engineering and smart breeding methods, which reflect in the quality of meat, as well the nutritional value for the meal produced. This science-based initiative was the fruit of much research on lamb, from breeding cycle to diets that could benefit the livestock, as well as the life expectancy of the animals. To gain understanding and carry out research to facilitate the better farming of an improved lamb species, Te Mana has enlisted the help of Aimee Charteris, a geneticist whose expertise lies within animal reproduction, particularly on lamb and on farming practices. Sweet Victory For Team Malaysia At The 30th World Pastry Cup In France! The quality of health of Te-Mana rams are monitored by genetics. Each animal is documented from birth to maturity through a specific diet and exercise plan. Aside from natural supplements that build trace elements and minerals and vitamins in the meat, rams are also required to grow until they achieve a level of physical fitness to handle the busy breeding season. After six cycles of breeding, the ewes will be shipped out for mutton production. We were surprised to realise that baby lamb undergo a different buffing-up process before they are processed. “Baby lamb that have grown after three months will undergo an intensive, 30-day bulk up diet on chicory, a vegetable containing the most nutritional profile for lamb to develop quality meat, especially enriching Omega-3 in the lamb, optimising their physical mass for ideal meat production, explained Charteris. Witnessing the new ways of New Zealand’s innovative farming practices is Octavium’s Silvio Armanni, who feature the New Zealand brand’s lamb in one of his signature dishes. “I have never seen and thought that chicory will be so high in omega-3 and the good fat. It is good to see farmers try so hard in raising sheep in a different way but for the better quality of meat, and the breeders are changing the ways meats are produced. This wasn’t easy to start but it’s amazing to see such change happening.” Armanni detailed. With raising concerns on farming better meat, the future of meat may shift focus from means of production to the product itself, as Chateris details on the change in perspectives. “When the end-users can understand what goes into the animal, they build trust in consuming the product. The meat-production business is only sustainable if we go back to using natural elements, with technology only to facilitate the process.” On the consumer end, Te Mana’s practice shows transparency in the processes of raising lamb with respect to the livestock itself. It may just be a great direction to the future of meat farming, with better quality in the product we can trust. This story was originally published on Hong Kong Tatler. Drinks What Is Zero Waste Bartending?